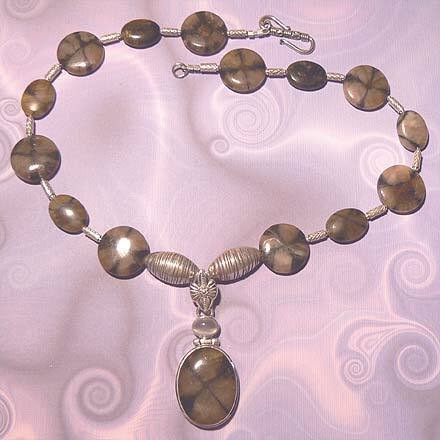 Sterling Silver Chiastolite Necklace. See Closeup. 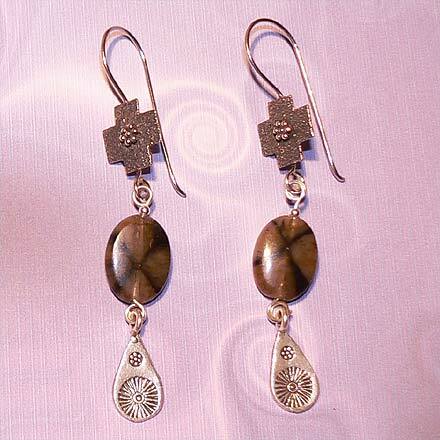 Chiastolite, known as "Cross Stone", is Andalusite with Carbon crystal inclusions grown in a cross-like pattern. 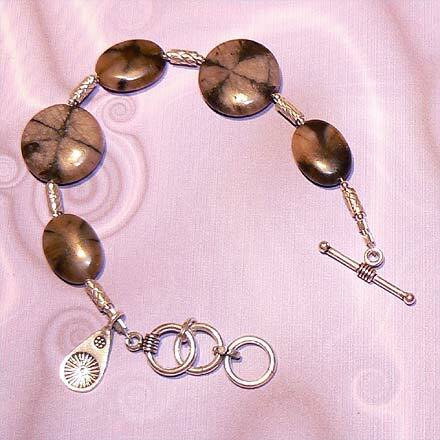 These beads are cut to take advantage of the cross shape. 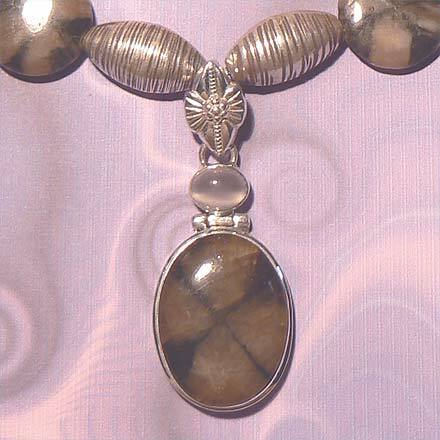 The pendant is topped off with a small White Moonstone cabachon.